Dr. Oscar Lebwohl is a graduate of Dartmouth College and Harvard Medical School. He completed his internship and residency in internal medicine at the Mount Sinai Medical Center. This was followed by a fellowship in Gastroenterology at Columbia Presbyterian Medical Center and a fellowship in Liver Diseases at Mount Sinai. Dr. Lebwohl returned to Columbia in 1978 and has remained on the faculty since then in the Division of Digestive and Liver Diseases. He is currently the Richard and Rakia Hatch Professor of Medicine at Columbia University Medical Center and Vice Chairman of Development in the Department of Medicine at Columbia. Dr. Lebwohl specializes in Gastroenterology and Gastrointestinal Endoscopy. In addition to his clinical practice he is actively involved in teaching and training Columbia medical students, residents and fellows. In 2010 he received the Ewig Clinical Scholar Award for outstanding teaching in the Department of Medicine. 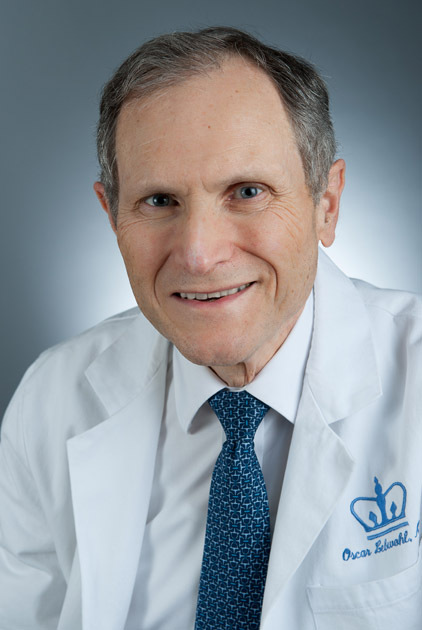 In 2013 Dr. Lebwohl received the Alfred Markowitz Service Award at the annual dinner of the Society of Practitioners at Columbia University Medical Center for outstanding service to the medical center. Dr. Lebwohl has been listed annually in the Castle Connolly list of America's top doctors and New York top doctors. He has also been listed in New York Magazine's list of best doctors.